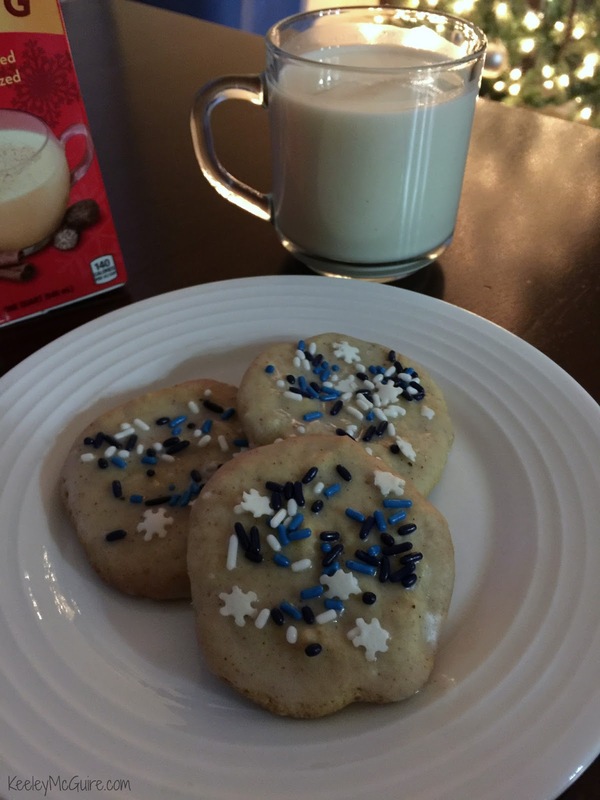 Gluten Free Eggnog Cookies are a delicious treat for the holidays and for Santa! This is a sponsored conversation written by me on behalf of Horizon Organic. The opinions and text are all mine. I love creating Christmas cookies with my Little Miss for the holidays. The hardest part isn't the baking... it's keeping her from eating them all! She just recently tried eggnog for the first time. Her first taste was of my dairy free nog. 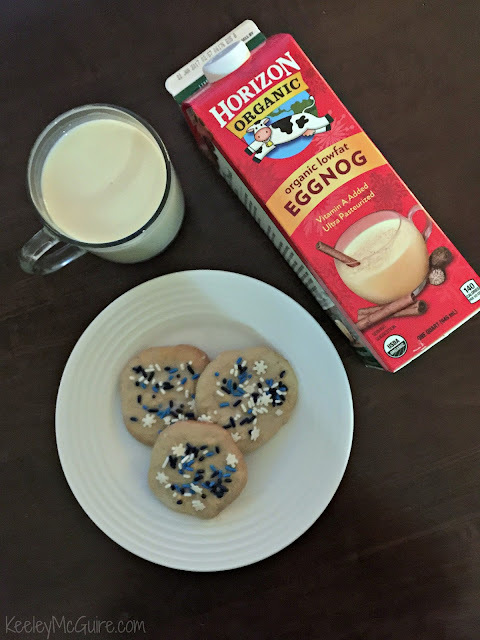 Then when I told her our friends at Horizon wanted us to come up with a fun holiday recipe, she was delighted to discover they made eggnog for her dairy loving heart. 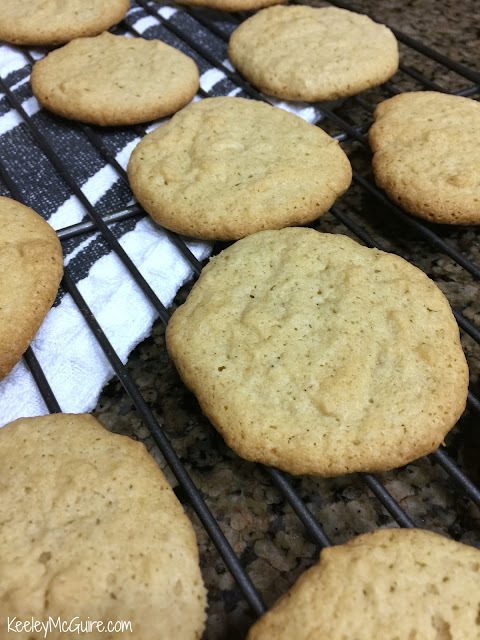 So, we gave it a go and made these yummy Gluten Free Eggnog Cookies. No chilling required, but if you wanted to use the batter as a cutout cookie instead, you could refrigerate it for one hour and do so. Simple ingredients and it comes together quickly in one bowl. That's what I like to hear. The cookies are perfectly crisp on the outside but still soft in the middle. If you don't prefer a crisp edge, take them out of the oven on the shorter side of the baking time and carefully transfer them to the cooling rack. 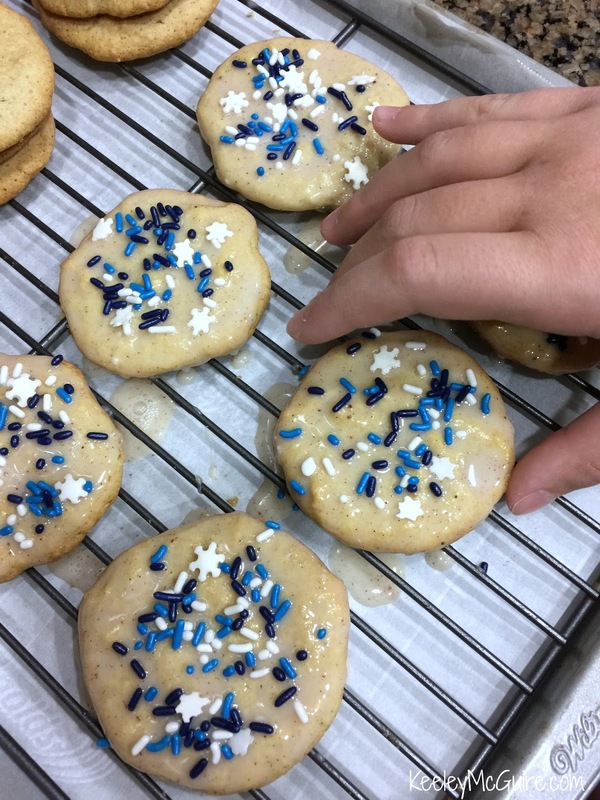 You could leave the cookies plain, but the eggnog icing adds a layer of flavor and sweetness I personally think they need. Plus, as you'll see, it gives the kiddos an opportunity to decorate them. I made my icing loose enough to dunk the cookies in the bowl then I flipped them over icing up to harden on the cooling rack. Add sprinkles while the icing/ glaze is still wet, if you so choose. Little Miss decided on "blizzard sprinkles." Maybe she was missing our snowy winters back in Michigan. Recipe yields two dozen cookies. Enjoy! Merry Christmas, Happy Holidays, and Happy New Year!